Gold Sovereign Coins are a highly popular choice for smart investors. Thanks to their legal tender status, our best value gold Sovereign coins are VAT Free and Capital Gains Tax (CGT) exempt to UK buyers. To ensure that our customers benefit from the most competitive prices, we supply coins from various years based on the stock we have available at the time of purchase. 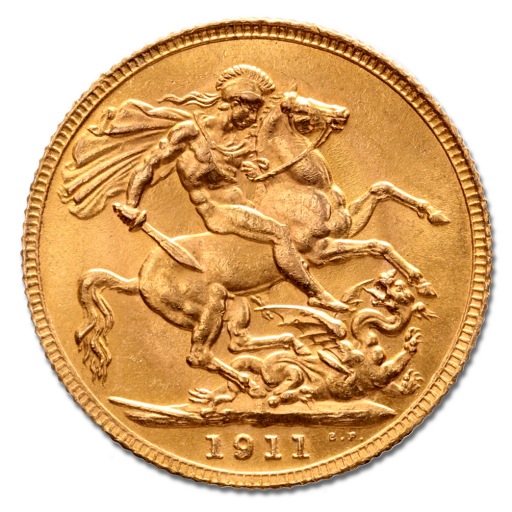 Why pick pre-circulated Gold Sovereigns? Buyers choose our best value Gold Sovereigns for their gold content rather than their aesthetic or numismatic value. You might receive Gold Sovereigns that were minted during the reign of Victoria, Edward or George or gold coins bearing the portrait of HM Queen Elizabeth II. However, all our value Sovereigns are in good to fair condition and you're guaranteed 7.3200 grams of gold in each coin. These attractively priced Gold Sovereign Coins are a convenient and effective way to boost your stock portfolio with fine gold and you'll enjoy fast, insured delivery with coininvest.com.